Facebook is continuing its fightback against critics of its privacy policies with launch of Facebook and Privacy, a dedicated page aimed at educating users about online privacy issues. The move follows the recent launch of simplified privacy options and CEO Mark Zuckerberg’s assertion yesterday at the D8 conference that, contrary to popular belief, privacy was important to Facebook. 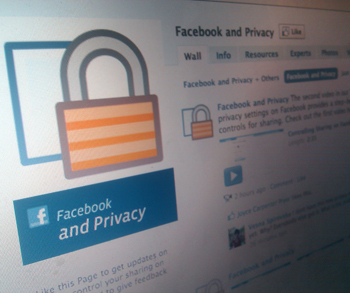 Facebook wants users to ‘Like’ the new page in order to stay up to date on privacy issues. Described as “A living resource and a venue to facilitate an interactive discussion about privacy”, it has been seeded with a number of posts at launch. These link to news stories from around the web about broad range of privacy-related news stories. The message is clear – Facebook wants you to know that it’s taking privacy seriously. We can’t help think this is overkill, though. Facebook did what a small but vocal group of users wanted and simplified its privacy settings, making them less confusing. If they had left it at the it would be fine. We’re not sure many users will be that bothered about privacy that they’ll want Facebook sanctioned news stories about it shoved into their news feed.